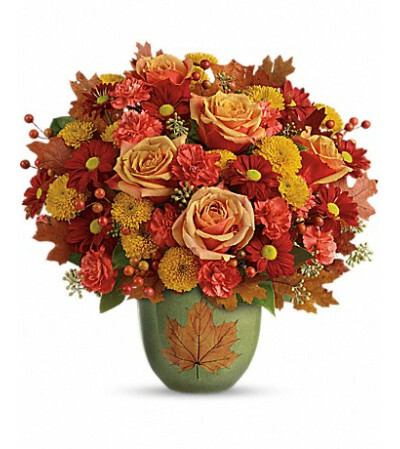 Fill their hearts and home with fall splendor! 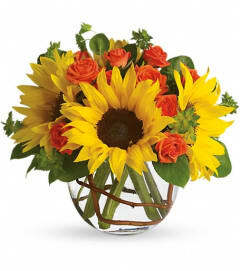 This magnificent mix of roses, carnations and daisies is accented with artistic autumnal leaves and berries. 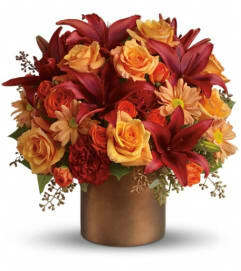 Its hand-glazed stoneware pot with maple leaf detail is a charming harvest memento they'll treasure for years to come.